California and federal employment laws collectively provide employees with the right to request and take a leave of absence from work for a variety of good reasons. 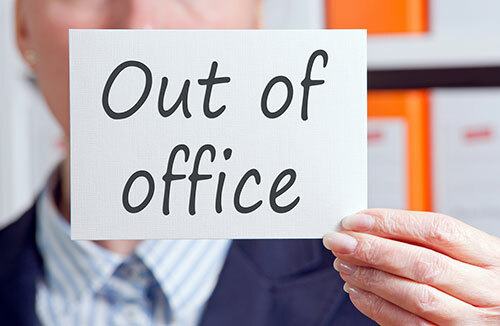 When an employee properly requests time off from work in accordance with a legally recognized leave, the employer may not discriminate against, harass or retaliate against the employee because of the employee’s request for a legally recognized leave of absence. If you have suffered discrimination, harassment or retaliation action at work based upon your legitimate request for Family Medical Leave, or, another type of legally recognized leave of absence, contact Advantage Law Group to obtain a free consultation to explore your rights. Your employer may not deny your request for leave that is allowed by law. In most cases, if your request is timely made and in proper form, your employer must accommodate your request. Generally, you have the right to return to your position or a substantially similar position if your leave is allowed and your leave is completed within the time allowed by law. The Federal Family and Medical Leave Act (FMLA) and the California Family Rights Act (CFRA) are laws offering protection to employees needing to take extended time off from work for their own serious medical conditions or those of family members. Conditions that may require an employee to request FMLA or CFRA leave include pregnancy, birth of a child, adoption of a child, caring for an ailing family member or a serious mental or physical condition that prevents you from working. In those cases, you may qualify for FMLA or CFRA leave. Your employer is prohibited from engaging in discriminatory, retaliatory or harassing actions as a result of your need for a protected leave of absence from work. Advantage Law Group serves the legal needs of employees throughout California. We specialize in employment law and can help you if your employer unreasonably denies your request for leave or your employer engages in conduct that interferes with your leave. Further, filing of lawsuits on behalf of employees who are illegally denied leave. In addition to our offices in San Diego, we have locations in Orange County, and the San Francisco Bay Area. We represent employees statewide throughout California. And this includes employees that have been treated in an adverse manner due to a leave of absence. If you feel you’ve suffered unfair or illegal treatment because of your leave of absence, call us at 800-507-9470 to schedule your free case evaluation with an experienced employment law attorney.